Filming for the new Tomb Raider movie has officially wrapped today with director Roar Uthaug sharing the celebratory moment on set on social media. Check out his post below for a look at the crew responsible for bringing the new Lara Croft movie to life. A Warner Bros. Pictures, MGM and GK Films production, Tomb Raider stars Academy Award winner Alicia Vikander (The Danish Girl) as the video game heroine. Scripted by Transformers: The Last Knight scribe Geneva Robertson-Dworet, the new Tomb Raider movie is based on the video game franchise. First published in 1996 by the London-based video game company Eidos, Tomb Raider became one of the most successful video games of the time. A reboot of the series, telling the origin of Lara Croft, was released in 2013 and sold over 5 million copies. The most recent game, titled Rise of the Tomb Raider, was released in 2015 and is available now for the Xbox One, Xbox 360, PlayStation 4 and PC. Tomb Raider‘s Norwegian helmer Roar Uthaug is best known for his acclaimed 2015 disaster drama The Wave. Although it did not end up getting nominated, The Wave wound up becoming Norway’s official entry at the Academy Awards. Also starring Dominic West, Walton Goggins, and Daniel Wu, the new Tomb Raider movie hits theaters March 16, 2018. 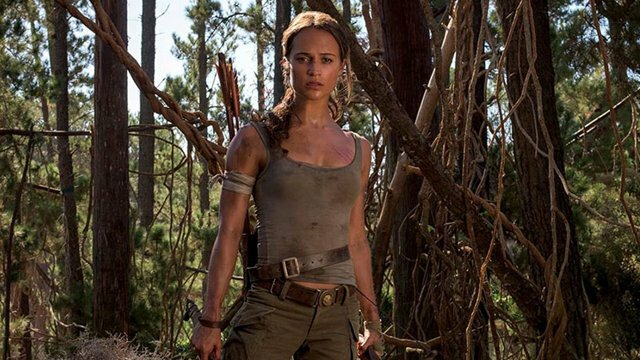 Are you looking forward to Alicia Vikander as Lara Croft? What are you hoping to see from the new Tomb Raider? Let us know your thoughts in the comments below!